It's no secret that posting on Instagram is one of the best ways for your business to connect with your audience. From its creation, Instagram has been a disruptor in the photo-sharing industry. Even with a highly saturated market, Instagram still stands tall as one of the best places for businesses to reach their audience. When Instagram rolled out Stories, it was a game-changer. The familiar feature (thank you Snapchat) was instantly utilized by everyday users and businesses alike. Instagram Stories allows users to post photos and videos in a slideshow format that’s only visible to that user’s followers. The Stories disappear after 24 hours, but can be archived and viewed by the user after the 24 hours is up. Your Story is completely separate from the photos and videos you post to your profile and can be used as a way to connect with your business’ followers on a more personal level. The feature is more complex than taking a photo and sharing it. There are a slew of tools inside Stories that you can utilize. In this post, we’ll walk you through everything you need to know about Instagram Stories so you can start using it like a pro. If you’re new to Instagram, you may not even know what Stories are or where they can be viewed. If you already know the basics, you can skip over them and read up on how businesses can use Instagram Stories using the link above. Otherwise, let’s get started. Instagram Stories appear in the top bar of your home feed. Once someone posts to their Story, their icon will appear on this bar with a colored ring around it. The colored ring indicates the Stories you haven’t viewed yet. If the ring is white, like in the above example, you’ve already seen it. To view a Story, simply tap the user’s icon. If you’d like to watch all the Stories from the accounts you follow, continue to tap through. Users can post as many Stories as they’d like, so there may be a mix of photos and videos. Once a user’s Story is over, the name in the top-left of the screen will change and another user’s Story will begin. If someone’s Story is long and you’d like to skip to someone else’s, you can swipe to the left to jump to the next user’s Story. If you’d like to go back, swipe to the right. There may be a time you want to pause a Story to view the image or text on the screen for a longer amount of time. To do this, press and hold on the screen. The Story will be paused until you lift your finger. Once you’ve set up an Instagram business profile, you’re ready to create and post to your Story. First, open Instagram and tap the small camera icon located in the top-left corner (or swipe to the right for quick access). Once inside Stories, your camera lens will be activated and your screen will act just like the camera app on your phone. At the top of the screen, there are a few icons. The gear icon in the top-left is the settings button. If tapped, you can control who can view your Story, who you want to hide your Story from, sharing your Story with a group of Close Friends, and choosing who can reply to your Story. You can also allow your followers to share your Story. This lets them send it over Instagram direct messages or post it to their own Story if they are tagged in it. In the top-middle of the screen, there are two icons. The lightning bolt controls camera flash and the smiley face contains all of the Instagram filters available to you. We’ll go over that later on. 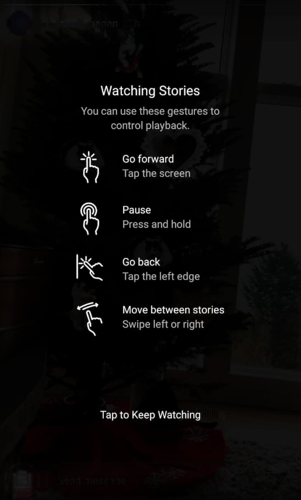 Lining the bottom of the screen, you’ll see a variety of Story features that include: CREATE, MUSIC, LIVE, NORMAL, BOOMERANG, SUPERZOOM, FOCUS, REWIND, and HANDS-FREE. Before we dive into all of these Story features, let’s cover the basics. To take a photo, tap the white circle. To take a video, press and hold, letting go to stop recording. To upload a photo or video you’ve taken outside of Instagram, swipe up or tap the icon at the bottom-left of your screen and select straight from your camera roll. If you’re uploading a photo from your camera roll, make sure you’re posting the correct Instagram photo size for Stories. Instagram gives you the option to only show your Story to a select group of your followers. 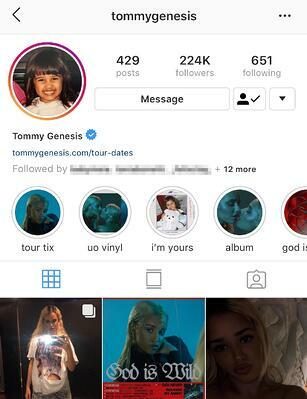 To add people to your Close Friends list, take or upload a normal Instagram Story as usual, and tap the green star at the bottom of the screen that reads Close Friends. Once clicked, you’ll see a screen like this. To add people to your Close Friends, tap Add to list and select the users you want to share your Stories with. Although this feature is more useful to everyday Instagram users, it can be a useful way for businesses to showcase a Story to certain users they may want to target. Similar to the Close Friends feature, you can send your Story to specific users. After you’ve crafted your Story, tap the Send To button on the bottom-right of the screen. You’ll be redirected to a screen where you can select specific people to send your Story to. Notice how the Close Friends feature is below Your Story. You have control over who to send your Story to and who will be able to view it. Tweak your settings to your liking and get posting. Note: If you’re a fan of account privacy, find out how to make Instagram private. Most major cities worldwide have their own Story. These Stories are curated by Instagram and are made up of posts that contain the Location tag. The posts selected to be in the location’s Story can see more reach and engagement, so if you’re after exposure, tag your location. Note: Your Stories will only appear if your account is set to public. If you’re looking to pin your location while posting a Story, tap the square smiley at the top of the screen. A screen will slide up with numerous features you can add to your Story. To add a Location, tap the Location sticker and type your whereabouts into the search bar. Select the correct location and voila! You now have a sticker to place in your Story. The process for Mentioning someone, adding Hashtags, Gifs, Music, and Stickers is very similar. When you Mention someone on your Story, they’ll be notified. Mentioning people is the most useful when your Story is a photo of a group of people. Engagement is a big part of Instagram marketing and when you tag a person or businesses, you can help boost their following. Using Hashtags can help consumers find your business while browsing Instagram. Say you’re a tech startup attending a big SEO conference. If you use the conference hashtag on your business’ story, people will be able to see your Story on the Explore page. Alternatively, you can also search hashtags on the Explore page. If there is a Story for an event, it’ll appear at the top of the screen with the associated hashtag. Gifs, Music, and Stickers are optional features you can use if you’re looking to jazz up your Story. All can be found in the same place as the features discussed above. 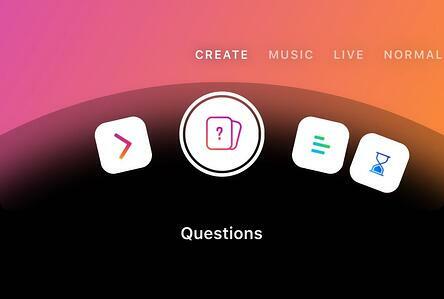 You can also add Polls, Questions, and Countdowns when creating your Stories. Polls are interactive stickers you can put on your Story to gauge how your followers feel. If you’re a business, running Polls can provide you with information coming directly from your consumers. When you use Questions, you are opening up to your audience and giving them a way to ask you a question directly. Businesses can use Questions if an employee is conducting an Instagram takeover. 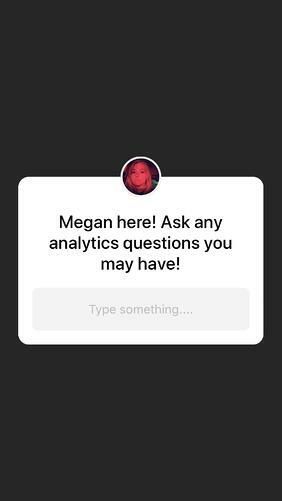 If your business provides data and analytics to B2C companies, a member of the Marketing Analytics team could post a Question and answer them over the course of a day. Posting a Question can help drive traffic to your Instagram account if you post about the takeover on your socials. It’s also a great way for other businesses to connect with you. 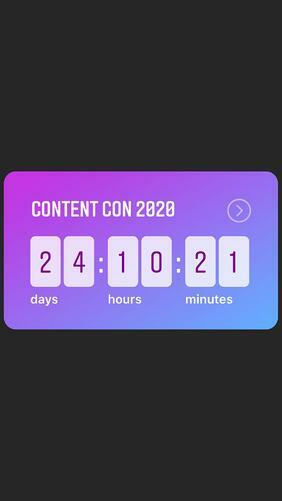 To create hype around an upcoming event, post a Countdown. Try posting one to your Story every week. A steady reminder will get participants involved excited about attending. Have fun when posting Stories and try out all these features. Although, maybe not all at once. If you want to add some artistic flair to your Stories, you can draw directly on top of the photo or video! After taking or uploading your photo/video, tap the pen icon in the top-right corner. Four pen tools will appear at the top along with color options lining the bottom. The four tools are pen, marker, glowstick, and eraser. A slider will appear on the left-hand side of the screen. Slide it up and down to change the thickness of your pen lines. Drawing on your Story can make a boring photo more interesting. Once you’ve finished your masterpiece, share it for the world to see. Ok not the world, just your followers. Filters are used everywhere. From Facebook to Snapchat, people use them everyday. It’s no different on Instagram. Filters can be found if you tap the smiley face at the top-middle of the Story screen. At the bottom of the screen, you can swipe through dozens of filters Instagram has integrated into Stories. If you open Instagram Stories and scroll all the way to the left, you’ll find the CREATE tab. Here you have the option to create a Type Story, ask a Question, post a Poll, or start a Countdown. You already know how to use the last three options and insert them via the square smiley button, so let’s discuss Type Stories. You can use this Story format if you want to type out a message for your followers. Instagram Stories lets you fully customize your content and allows you to change the color of the background, the text alignment, and change the font style, color, and size. To change the background color, tap the colored circle at the top-middle of the screen. Instagram provides a variety of color options for you to choose from. To change the font color, tap on the message you’ve written and select a color from the color options above the keyboard. You can also use the eyedropper to use a color from inside the photo. To change the font size, tap your message and then the circular slider on the left-hand side of the screen. As mentioned before, sliding up and down will make your font bigger or smaller. You can also pinch your message and position it where you want on the screen. Using Type Stories allows you to post a Story that doesn’t require a photo as the background. Four options (Type, Questions, Polls, and Countdowns) are at your disposal at the bottom of the screen. When your business wants to connect or engage with your audience, using this Story format is the quickest way to do so! Adding music to your Story is pretty simple. Just like you would add Locations, Hashtags, etc., tap on the Music button. Instagram will populate songs that have been recently used in Instagram Stories. Search for a song in the search bar and select it. 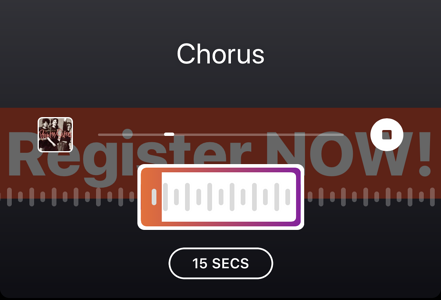 Now, you’ll get to choose up to 15 seconds of said song to include on your Story. You can change the length by tapping on 15 SECS. Once you select the snippet of song you’d like to include, you can place it strategically in your Story. Add CTAs, stickers, gifs, whatever you see fit for your business’ image. Going Live on Instagram is a great way to stream an event your business may be putting on. To go Live, open Instagram Stories and slide to Live. Don’t worry, you won’t go Live automatically. Before you start streaming, Instagram lets you know which and how many of your followers are active at that moment. While you’re Live, you will be able to use Instagram filters and see questions that your viewers ask you. These features are at the top of your screen. Just like posting a Question, going Live can be a great way to directly communicate with your customers. Be ready to answer anything they may ask, and most of all, be honest and candid. Boomerang mode creates three second looping videos that look similar to gifs. Use Superzoom to create a dramatic video that zooms in on the subject dramatically. Plus, the feature comes with a soundtrack. Rewind is pretty self-explanatory. Use this lens to film a video in reverse. If you want to film a video without having to hold your phone, the Hands-free lens can help you out. Prop it up on a table (or any stable surface) and tap the circle at the bottom of the screen. It’ll continue recording unless you stop it, so be sure to tap it again to end your video. Want to see who’s checked out your Story? Tap on your icon in the Story bar on the top of the Instagram homepage (or on your profile) and swipe up. The number of viewers will appear at the top left of the viewers section. You can track your daily, weekly, or monthly viewers to keep your brand engagement in check and increasing. Many businesses on Instagram use the Highlights feature to organize certain events they attend or host, major company announcements, or new products they may be coming out with. Highlights are the Stories you select to be displayed after the typical 24-hour Story lifespan is over. They appear as Story circles under your account’s bio section and can be edited, deleted, and re-organized at any time. To create a Highlight, post to your Story as usual. Open your Story and tap Highlight. Name your Highlight (you can always change this later) and press Add. The Highlight will appear on your profile. You can continue to add more Stories to your Highlight or create a new one altogether. If customers are coming to your profile, displaying Highlights is a great way for them to understand what’s important to your business. You can cover events, new product launches, and your employees’ hard-work in an “employee of the month” highlight. Your possibilities are endless! Highlights are there to help your business shine light on what’s important. Use them! Your Stories are archived on Instagram, even after their 24-hour lifespan is over. To view your archived Stories, go to your profile and tap the clock icon at the top-left. You’ll be able to see all the Stories you’ve posted in the past. Notice how Instagram lets you know that only you will be able to see your archived Stories. If you ever want to stop archiving your Stories, click the three dots in the top-right corner. In Story Controls, you can toggle this option on and off whenever you’d like. There are dozens of ways your business can use Instagram Stories to engage with your audience. With so many people using Instagram, businesses would be missing out big time if they didn’t utilize them. Here are a few ideas on how your brand can attract new followers and keep communicating with your existing audience. Whether your company is hosting a huge conference or celebrating an office holiday party, filming and sharing these events will give your audience a behind-the-scenes look into your business. Record snippets of panel speakers, tag them, throw a hashtag on there, and share it to one of your Highlights. People love being included. By covering events your company hosts or attends, your audience feels closer to your business and like they’re attending it with you (virtually of course). Steadily sharing news about your industry will give your company the reputation as the go-to place for the newest information. If there’s a new development within the industry that doesn’t warrant a blog post, create a Highlight and post it on your Story. Continually sharing topical news will keep users coming back to your profile to stay up to date on the latest happenings. If you’re a clothing, beauty, or retail-oriented business, posting Stories is the best way to demonstrate how a new product works or to show your customers a sneak peek of a new product line. Maybe you’re a software company that’s releasing a new app or program. Record your computer or phone screen and show people how to use your software. Maybe you’re a beauty company that’s launching a new eyeshadow palette. Take videos of someone swatching the shades. By sharing these Stories, you create hype around your product and your audience gets a closer look at what you’re selling. Creating tutorials is similar to showing off a new product, they just go more in-depth. Accounts like Etsy and Buzzfeed’s Tasty post tutorials on DIY projects and recipes. These brands know their audiences like to see content come together in a fun and quick tutorial, so they capitalize on it. You should too. Include CTAs and website links in your Story tutorials so your audience can shop instantly. A great way to be candid with your audience is to show off your amazing employees. It’s nice to see people being recognized for hard work, and tagging them in your stories can be a great way to grow your employee social media presence. Plus, you can highlight some of their work if they have a portfolio or have worked on a recent company project. Linking to your company’s blog achieves the same thing. Show off your writers while taking the opportunity to link directly to their articles. They get the recognition, and the blog gets some traffic and exposure. Win-win situation! Hosting an Instagram Stories Q&A is similar to going Live. Question-and-answer Stories can shine a light on a specific employee, influencer, or speaker in relation to your business. This format gives your audience a direct path to ask questions and interact with your business. Whether you like it or not, Instagram Stories are here to stay. Discovering all the ways to use them can be overwhelming, but by not taking advantage of Stories, you’re doing your business a disservice. Experiment with Stories and all it has to offer. See what your audience responds to and figure out why they don’t respond to others. Instagram has proven itself to be one of the best places for businesses to reach and connect with their audience, so make some Stories and engage with yours! Want to learn more about Instagram marketing? Discover the best time to post on Instagram and find out how to download Instagram stories. Alexa is a Content Marketing Associate at G2 Crowd. 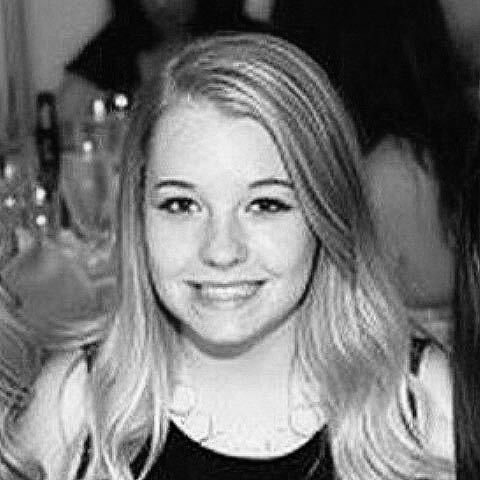 Born and raised in Chicago, Alexa went to Columbia College Chicago and entered the world of all things events and social media. In her free time, Alexa likes taking her dog on walks, creating playlists for every mood, and finding the best vegetarian food in the city.